Acupuncture has been used for the treatment of illnesses and pain for hundreds of years. It was first encountered by the Western world in Portugal, and its popularity has been steadily on the rise since then. Acupuncture is a holistic way of treating and managing pain, and yes—even drug addiction and alcoholism. 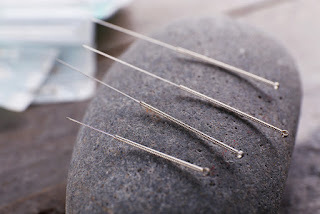 There is a preconceived notion that acupuncture is painful. The important thing to remember—as with any treatment—is to relax and approach the procedure with an open mind. The needles that are placed gently and slightly into the skin are only the width of a hair. When inserted, there can be a tingling sensation, but once the session is complete there is a general sense of calm and tension release. Acupuncture has been successfully used to treat many different ailments like muscle pain, insomnia, depression, and food allergies. While this Chinese modality has been around for hundreds of years, its use for alcoholism and addiction is relatively new. Studies have shown that acupuncture helps to release our body’s natural painkillers, called endorphins. Endorphins positively affect one’s physiological and emotional wellbeing, helping people overcome addictive behaviors. At Complete Harmony, we incorporate the use of acupuncture as part of our cutting-edge holistic treatment program. When used in conjunction with other evidence-based treatments, acupuncture can be highly effective in addiction recovery—and even preventing relapse. Many people continue to benefit from it long after they have made it through the active recovery stages. Acupuncture is only one a small portion of our full-service holistic healing program. We will help you choose the services that are best for you in order to create a truly customized addiction recovery experience. Begin the admissions process online, or call 866.930.4673. We can also assist you with payment and insurance options, and your call is always 100% confidential!